Featuring six days of automotive events! 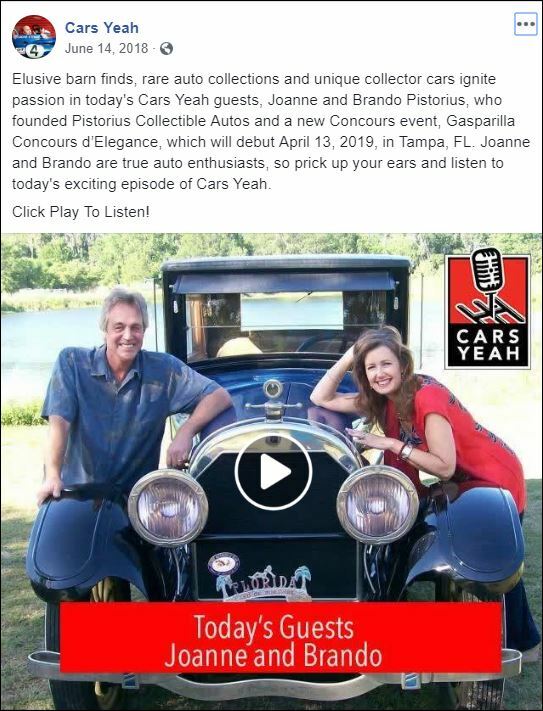 Listen to an interview with Gasparilla Concours founders Joanne and Brando Pistorius on the Cars Yeah Podcast with Mark Greene. Click image below to listen. Museum field trip for Kids: Whatta deal! The Gasparilla Concours has made arrangements with the adjacent Glazer Children’s Museum to provide supervised activities for children accompanying adults to the Saturday concours display. Complete with an antique car to climb in for photos and learning. From the concours website: We want you to introduce your kids and grandkids to great classic cars. But after an hour or so they may get a little fidgety, and you still want to enjoy the show cars on display and see the Red Carpet Awards. Well, we have a solution for you. Our partners at Glazer Children’s Museum have agreed to allow you to bring the kids/ grandkids in for a supervised field trip from the Gasparilla Concours. You alone can sign them in, and sign them out, with a volunteer from the Gasparilla Concours group. Your paid armband will tell the Concours volunteers that you are part of our event. 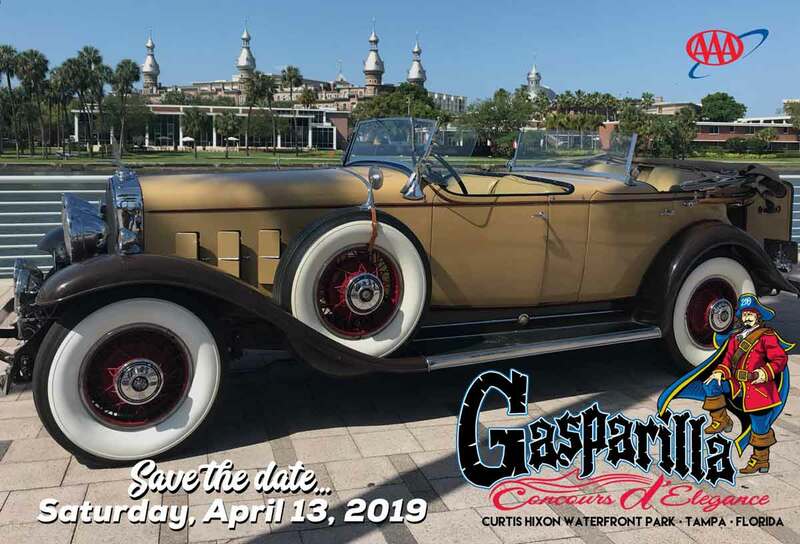 What a great added value for your participation in the 1st Gasparilla Concours d’Elegance!